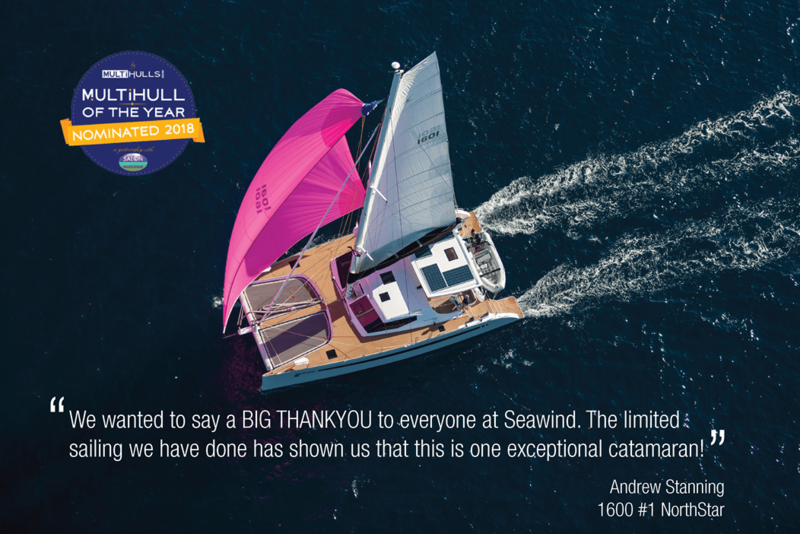 The Seawind 1600 is nominated for Multihull of the Year 2018, in the ‘Over 50’ category. And now, you can vote for us! Winners are decided through a combination of a public vote, and a points vote from the judging panes. And the public vote has a BIG influence. Please show your support for Seawind by voting for the Seawind 1600 in the Over 50-feet category, and while you’re at it, please support our sister brand Corsair and their Corsair 760 in the Under 40′ category! Winners will be announced at the International Multihull Show at La Grande Motte next year.